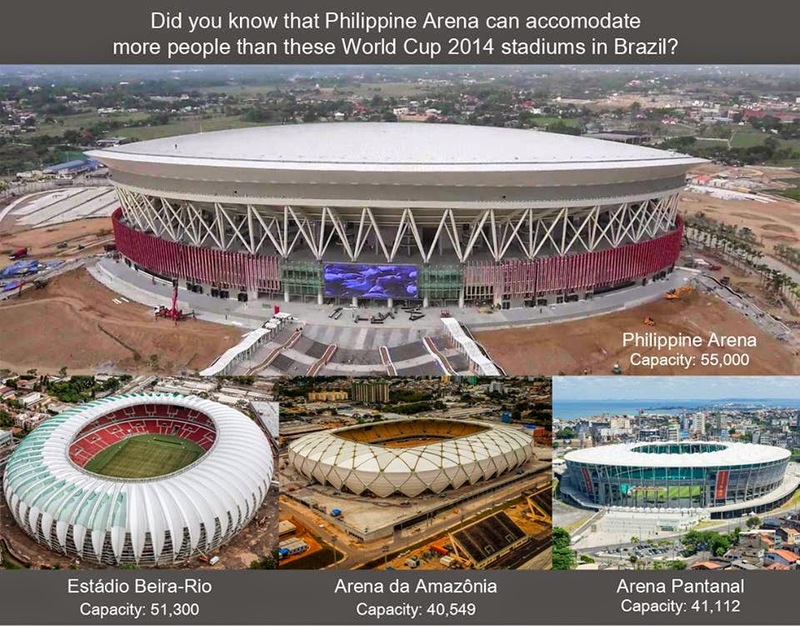 The Philippine Arena is the newest coliseum in the Philippines to set a world record as the biggest of its kind in the world, far bigger than the stadium of Brazil where the current FIFA World Cup 2014 is being held. 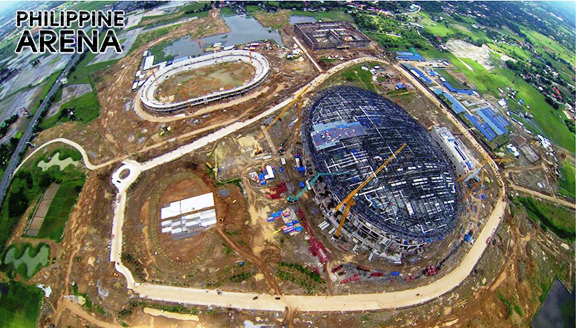 It is an indoor arena being constructed in Bocaue, Bulacan within the Ciudad de Victoria project of Iglesia Ni Cristo (INC), a religious organization. 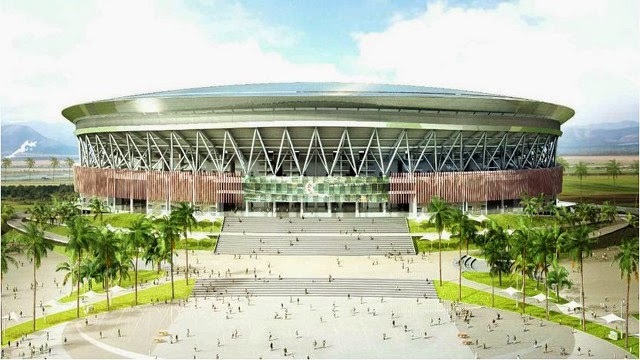 It is expected to have a seating capacity of 55,000, which is 25,000 more than the Araneta Coliseum in Quezon City and will open very soon this year. When completed, this will become the World's Largest Domed Arena. The project is part of Iglesia Ni Cristo's 100th founding anniversary which will be celebrated in 2014. It will cost the Christian organization $175 million. Update (August 22, 2014): The structure was built/ finished in 2 years and 9 months. According to INC Executive Minister, Bro. Eduardo V. Manalo, the Philippine Arena can be used not only by the Church but also by the public in general whether for local or international events like entertainment and sports.